There was a lot of confusion between the many listings of Saint Vincent De Paul cemeteries. We have created a new listing for Saint Vincent De Paul Cemetery #2 on Louisa Street. Please let Find A Grave know if there are memorials that need to be moved from one cemetery listing on Find A Grave to another. St. Vincent de Paul # 2 is bounded by Piety St., N. Villere St., Desire St., Urquhart St. 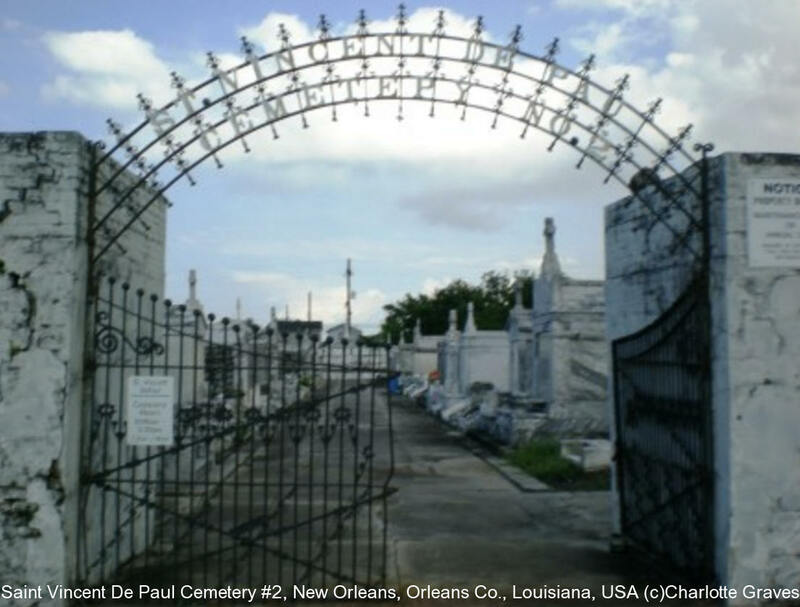 The St. Vincent De Paul Cemeteries and Mausoleum are currently owned and operated by Lake Lawn Metairie Funeral Home and Cemeteries, 5100 Pontchartrain Blvd., New Orleans, LA 70124.